Al Havner & Sons Hardwood Flooring offer a wide range of Hardwood Floor Installation and Refinishing Services across Ypsilanti, Ypsilanti Charter Twp, Ann Arbor, Canton, Novi, Livonia, Warren, Sterling Heights, Troy, Auburn Hills, Ferndale, Berkley, Royal Oak, Farmington, Farmington Hills, Southfield, Madison Heights, Birmingham, West Bloomfield Township, West Bloomfield, Bloomfield Hills, Wixom, South Lyon, Rochester, Rochester Hills, Grosse Pointe, Grosse Pointe Woods, Grosse Pointe Shores, Dearborn Heights, Dearborn, Detroit, Bloomfield Township, Northville, Beverly Hills, Grosse Pointe Park, Grosse Pointe Farms, Michigan. Solid Hardwood Floors are just that, solid. These Solid Hardwood Flooring products are chosen more for traditional reasons where longevity is a key determining factor in their usage. 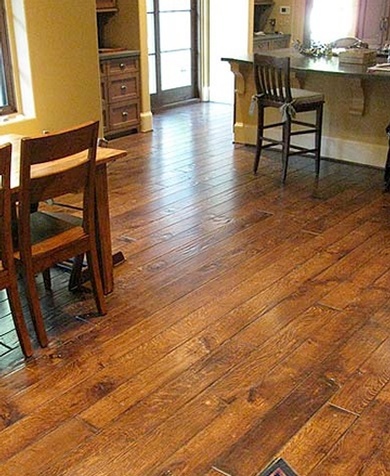 Additionally, Solid Hardwood Floor products offer more options at later dates that include color changes when performed by a knowledgeable professional. 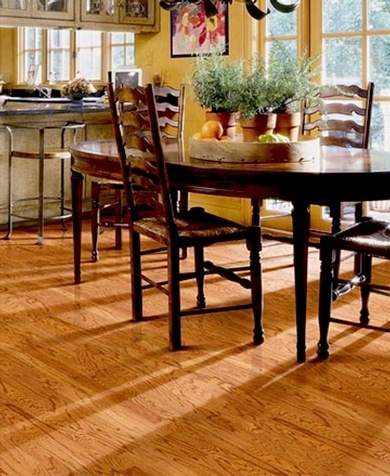 The Advantages to Installing a Engineered Floor in your home especially up here in Michigan with it's extreme weather changes is that it's less likely to shrink due to a low moisture content in the home. It's also less likely to cup or warp due to higher than normal moisture content. Homes in and around lakes or a real wide material are more prone to have cupping issues. Quarter sawn flooring also has the same tendencies not to warp or cup because of the way the wood was cut. Mixing engineered and quarter sawn wood gives you the most stable floor you can get. 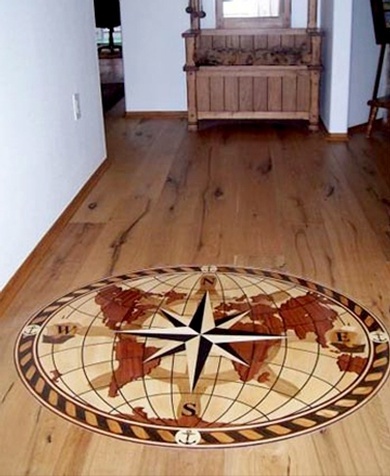 Most people think borders and medallions can only be installed when putting together a new floor, and that's just not the case. We have handled inlays into old floors on many occasions. It's a little bit harder to do but the results are the same. There are a million ways for us to trick out your floor, something as simple as a one board border (very inexpensive) to a 3, 4, or five board border.